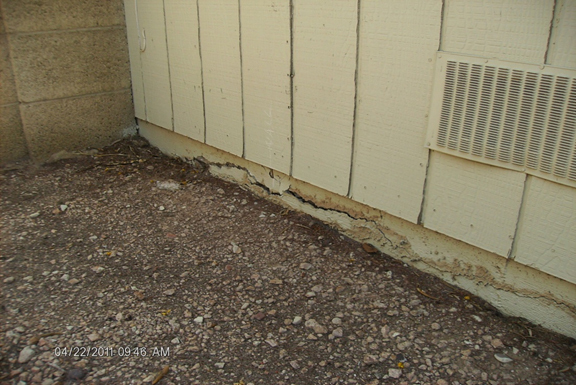 Have you noticed horizontal cracks on the outside foundation stem wall of your building? If so, this could be a serious foundation problem. Usually these horizontal cracks are a result of the rebar oxidizing. Given enough time, the concrete will spall and eventually split as the rebar dissipates in entirety. 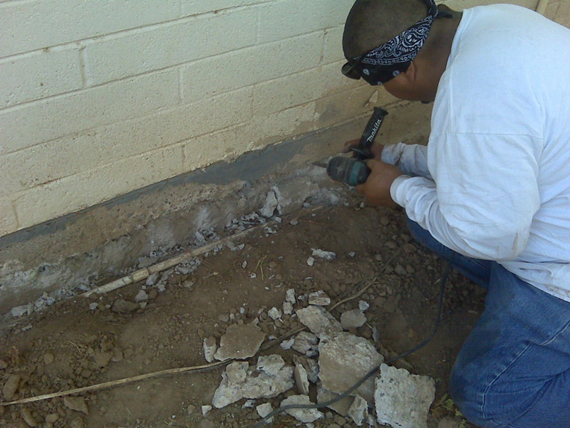 At Arizona Foundation Solutions, we have a wealth of experience with rebar causing foundation cracks. We also know how to provide permanent solutions to the problem. Ready to Start your Foundation Work? We provide Free Inspections of your home. Call us today at 1-602-598-5603 or click to schedule your inspection! We service Phoenix, Mesa, Glendale, Scottsdale, Scottsdale, Chandler, Sedona, Payson, Flagstaff, Peoria, Prescott and all of Arizona. 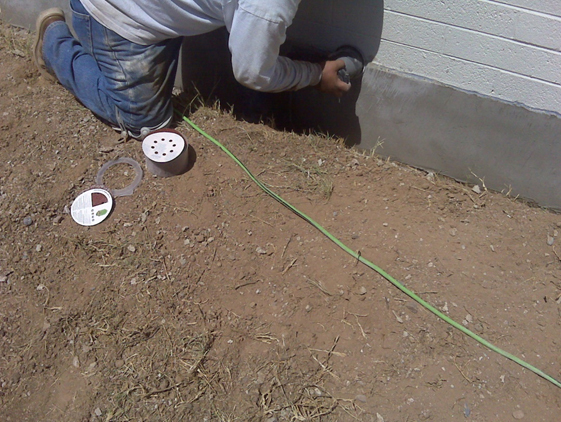 Why do foundation concrete cracks form? This is caused by chloride ion exchange in the moisture laden pores of the concrete that facilitates the oxidization of the rebar. Once started, it's very difficult to stop with traditional means. 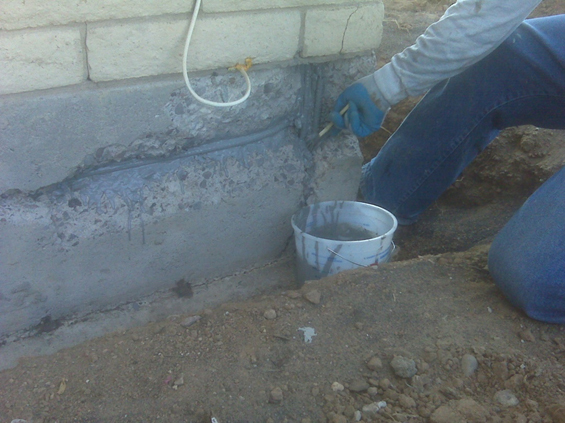 Sealing the crack with epoxy will not stop the rebar from continuing to oxidize and expand. Cracks may start out small, but continue to grow like the picture above. These cracks are a result of the rebar oxidizing (rusting). This occurs because the pores of the concrete contain miniscule amounts of water that actually conduct electricity, forming a tiny current between the rebar and the outside of the concrete wall. This current facilitates a flow of chloride ions that cause the rebar to rust. Eventually the rebar grows large enough to break the concrete out completely on its own, causing total failure. Don't ignore the warning signs! The good news is that we can fix these problems. We are your trusted experts for stem wall repair. 1. Chip out the concrete to reach the rebar. 2. Next you sandblast the rebar and then coat it with an ion blocking epoxy. 3. 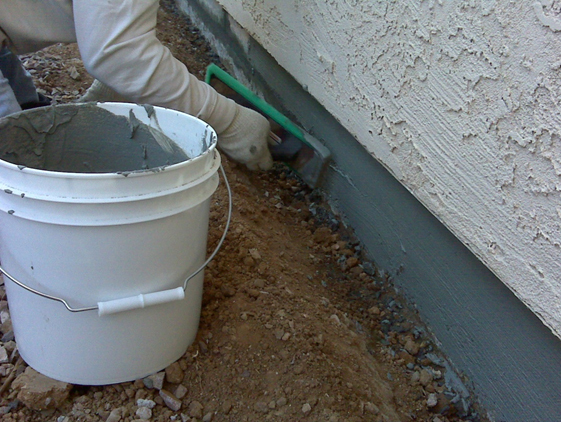 The concrete is patched back with a cement patch material with an anodic inhibiting agent. 4. The concrete is then finished to look like new!! !